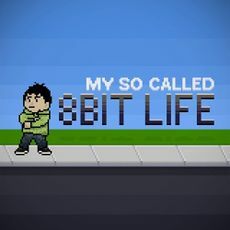 My So Called 8bit Life is a podcast hosted by Roberto Villegas. Every week Roberto interviews someone from one of the communities he's passionate about. This show has become a staple for Roberto's podcast network Cosmic Radio TV, LLC. In May 2014, Roberto debuted a Patreon campaign for the podcast. The podcast then started streaming live video broadcasts through Diamondclub.tv during November 2014. The archived video feeds are available on demand for patrons of the show. Each My So Called 8bit Life episode is about one hour in length. Episodes have been released consistently since January 2011. Many of the guests are in some way relevant to chatrealm; guests vary from featured chat regulars, to the hosting personalities of Brian Brushwood, Justin Robert Young, and Tom Merritt. The podcast was originally planned to follow a release schedule of one episode per two weeks, but after catching fire on iTunes, Roberto pushed it to weekly not wanting the podcast to fall under its own momentum. Mario Martinez is the most frequently featured guest at 9 appearances.